GovsPLUS (Powerful Learners Unlocking Success) is a tuition-free academic enrichment program that partners The Governor’s Academy with motivated middle school students from Lawrence, Massachusetts with the goal of helping these students reach their potential inside and outside the classroom. The program begins with a five-week summer experience and continues throughout the school year with monthly opportunities to connect. Each year, approximately 40 rising 8th and 9th grade students from Lawrence participate in GovsPLUS to strengthen their academic skills, build their self-confidence, and engage in formative service and experiential learning opportunities. The 2019 summer program runs Monday through Friday from June 24 – July 26, 2019. Where does GovsPLUS take place? How much does GovsPLUS cost? There is NO COST for students to attend GovsPLUS. All books, school supplies, meals (breakfast and lunch), and bus transportation to and from Lawrence are provided. Who should apply to be a GovsPLUS scholar? Any current 7th or 8th grade student from Lawrence who is ambitious, is capable, and can reliably attend GovsPLUS with a positive attitude every day is encouraged to apply. Who teaches the GovsPLUS program? Three experienced teachers teach the summer morning academic courses: Michelle de la Guardia and Omar Machado, Co-Directors of GovsPLUS, and Elizabeth Honorato, Program Assistant. They are assisted by current students and alumni from Governor’s who work as student-instructors in the program. The student-instructors assist in the classroom, provide supplemental tutorial support, teach elective courses, lead enrichment activities, and mentor the GovsPLUS scholars outside of the classroom. What is the GovsPLUS summer program schedule? The summer program includes breakfast, morning classes, lunch, and afternoon activities. Once a week, scholars, faculty, and staff take field trips to area locations like parks, museums, independent high school and college campuses, and other fun destinations. 9:00 a.m. - Breakfast in The Governor’s Academy dining hall. 9:30-11:45 a.m. - Three periods of morning classes to develop skills such as math, reading, writing, and critical thinking. ○ Small-group instruction in math courses align with state curriculum guidelines and assessments, emphasize problem solving through real world applications, and help combat summer learning loss. ○ In the humanities courses, scholars learn about Latina/o and African American history, literature, and culture. They build their literacy skills, as well as cultivate a special interest in social justice. Scholars also participate in workshops that develop their research, writing, and public speaking skills. 11:45 a.m.-12:15 p.m. - Lunch in The Governor’s Academy dining hall. 12:30-3:00 p.m. - Community building events, small-group mentoring, and enrichment activities, which may include recreational sports, visual and performing arts, science and technology, or community service. How are GovsPLUS scholars supported in the academic year? GovsPLUS scholars continue their relationship with Governor’s throughout the academic year with monthly occasions to reconnect. Workshops help scholars develop their organizational skills, teach them how to identify and apply to various high schools and how to prepare for this transition, and offer them opportunities to receive counseling and support from experienced faculty advisers and Govs mentors. Scholars also engage in numerous enrichment activities and field trips throughout the school-year such as amusement parks, athletic events, local shows, bowling and skating, and volunteering in the community. How do I apply to GovsPLUS? 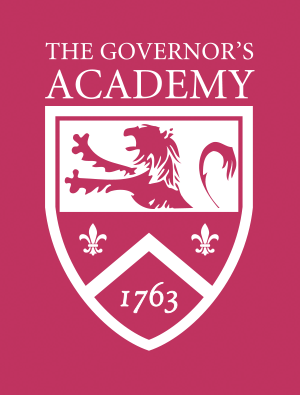 For more information or if you have any questions, please contact GovsPLUS Director, Michelle de la Guardia at mdelaguardia@govsacademy.org or 978.499.3098. Michelle de la Guardia is a Spanish teacher, an adviser and a dorm parent at The Governor’s Academy. A native of Puerto Rico and an avid traveler, she has an honest appreciation for diversity and inclusion. She graduated from Boston College with a Bachelor’s degree in Education and Spanish and then continued at Boston College for her Master’s degree in Spanish and Latin American Literature and Culture while teaching Intermediate Spanish at the same institution. Michelle has over 20 years of teaching experience from elementary school to college level. In the past, she coordinated a Summer Spanish Immersion Program for TASIS England in Dorado, Puerto Rico, and also acquired experience managing an educational company, training personnel, and working with various publications. As a member of the National Partnership for Educational Access, Ms. de la Guardia attended numerous leadership and community outreach workshops and conferences to best serve all GovsPLUS scholars and their families. She has also attended various seminars regarding diversity and inclusion from the National Association of Independent Schools (NAIS). She is committed to the growth and betterment of the program, as well as making sure that all GovsPLUS scholars achieve their fullest potential. GovsPLUS sounds like an amazing program, how can I support it? If you would like to make a gift in support of GovsPLUS, please click here. We would like to thank our 2018 sponsors!